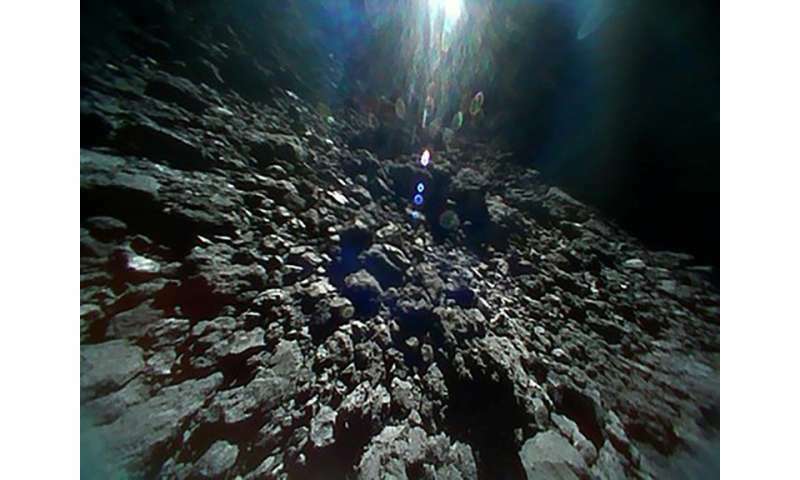 A Japanese probe landed a new observation robot on an asteroid on Wednesday as it pursues a mission to shed light on the origins of the solar system. 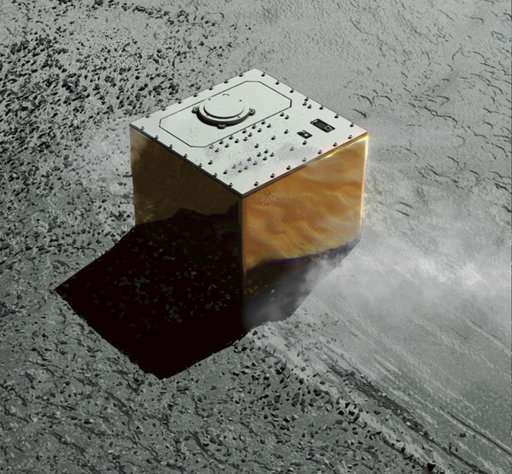 The French-German Mobile Asteroid Surface Scout, or MASCOT, launched from the Hayabusa2 probe, landed safely on Ryugu and was in contact with its team, the lander's official Twitter account said. "And then I found myself in a place like no place on Earth. A land full of wonder, mystery and danger!," the @MASCOT2018 account tweeted. "I landed on asteroid Ryugu!" MASCOT is expected to collect a wide range of data on the asteroid, some 300 million kilometres (190 million miles) from Earth. 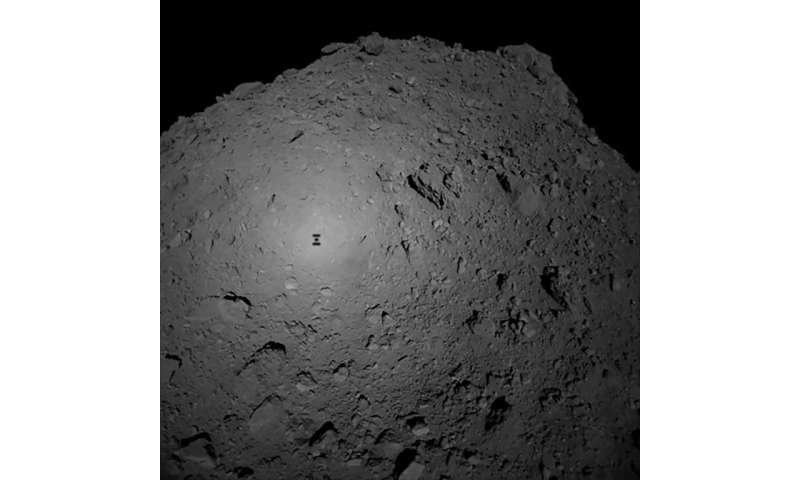 "It is hugely significant to take data from the surface of an asteroid, we have high expectations for the scientific data," Hayabusa2 mission manager Makoto Yoshikawa at the Japan Aerospace Exploration Agency (JAXA) told a briefing before the landing. MASCOT's launch comes 10 days after the Hayabusa2 dropped a pair of MINERVA-II micro-rovers on the Ryugu asteroid. The rovers will take advantage of Ryugu's low gravity to jump around on the surface— travelling as far as 15 metres (49 feet) and staying above the surface for as long as 15 minutes—to survey the asteroid's physical features with cameras and sensors. Unlike those machines, MASCOT will be largely immobile—it will "jump" just once on its mission, and it can turn on its sides. The Hayabusa2 is scheduled later this month to deploy an "impactor" that will explode above the asteroid, shooting a two-kilo copper object into it to blast a small crater on the surface. The samples of "fresh" materials, unexposed to millennia of wind and radiation, could help answer some fundamental questions about life and the universe, including whether elements from space helped give rise to life on Earth. Part of MASCOT's mission is to collect data that will help determine where the crater should be created. NASA, more space exploration, less global warming propagandizing. LOL. Less anthropomorphism, more science. The twittering is the best that STEM graduates can do. Leave hard science to graying grandparents. I must put in a plea to space agencies everywhere for better photography. And more of it. Take a moment to study the current quality standards for even casual photos. It is very high. A high-resolution, high quality camera can fit inside a thimble (a 19th century aid in darning[an archaic practice of repairing damaged fabric]). Please help us see. I must put in a plea to space agencies everywhere for better photography. I totally agree with this sentiment, but I presume due to the harsh environment out there and each missions complex engineering problems, not to mention budget constraints, that the images we see are the best our technology could provide during the design phase of the mission years before the probes are even built. Because surely they aren't ignorant to the amount of interest and attention toward science and space exploration a single compelling image can inspire! I'd love some spaceX's star man like videos of these landers and probes reaching their destinations. Better yet something we can look around in using VR apps on our fancy pocket calculator. A high-resolution, high quality camera can fit inside a thimble. No, they can't. Chips capable of capturing high resolution may be small, but integrated with the wrong optics they are absolutely rotten in low light situations.